If you have been injured due to a criminal act in Hollywood, Florida, and you don’t know what to do next, call our Hollywood crime victim compensation lawyers at the Wolfson Law Firm for free consultations. The first few steps after the incident could be decisive for your chances to recover damages, so it is wise to ask for legal help. You can reach us at (305) 285-1115. You won’t owe us any fees until we recover for you. 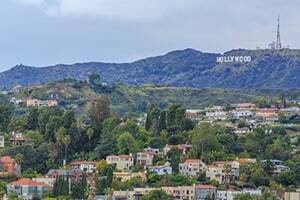 Not to be confused with the more famous Californian city, the Floridan city of Hollywood is still a great place to live or just visit to enjoy. It has more than 60 parks, miles long sandy beaches, seven golf courses, and a 2.5-mile-long beach boardwalk along the Atlantic Ocean, filled with plenty of restaurants, bars, ice cream parlors, including Westin Hotel and Margaritaville Resort. The city is home of more than 150,000 people. As you may guess, these are just the most common criminal accidents leading to personal injuries that our Miami injury attorneys have seen. However, if you’ve been injured in a different kind of crime, don’t hesitate to contact us to investigate your chances of getting compensated. You owe to yourself and to your loved ones. As with all other places in Florida, getting injured in Hollywood will set you on a crossroad of three options for recovering damages. One of them requires conviction of the offender. If he is caught by law enforcement authorities, proven guilty in court and convicted, he will likely be ultimately liable for paying for your injury-related expenses and damages. Unfortunately, most criminals lack the finances to pay for the full measure of the damages they caused. If he’s never caught and convicted or you don’t want to wait for the long criminal trial to end, then you can turn to other options. One of involves the premises under control of a third person or company. This includes, but is not limited to retail stores, gas stations, banks, water parks, hotels, convenience stores, apartments and other establishments that invite guests and could be a target of criminals. Owners and managers of these premises owe guests and invitees a duty of care. It means that they must reasonably do all they can in order to provide an environment free of foreseeable crimes. If they breach this duty due to wrongful act or negligence, they may be liable for the damages and injuries that can result. The last option is recovering some of your economic losses from the Florida Bureau of Victim Compensation. If your case meets the requirements set by the laws, you may be compensated by them for your injury-related expenses. It doesn’t matter if someone else’s responsibility has been proven or not. So long as your case meets the requirements, you’re may be able to recover some of your medical bills and/or lost wages. We have seen many people trying to represent themselves in personal injury cases, but as you may know, that’s not always a wise decision. No one wants to pay you damages voluntarily, so you’ll have to work hard to get it. The Hollywood crime victim lawyers at the Wolfson Law Firm have been doing this since 1963 and they are ready to help you too. Call us at (305) 285-1115 for free consultations. We won’t ask you for any fees unless we recover for you.